Most retail option traders in India do not know option Greeks or do not care for them. Option Greeks are very vital part of options trading. If you do not understand them, than it is very important to know about them. At least you should have an idea of what they are. Lets discuss them. It is the amount an option price will move with every 1 point move in the Index/Stock. If expiry is not near, Delta movement is NOT 1 point increase with 1 point increase in the stock. Which means if the stock moves 1 point up, depending on the strike price of the option, the option will move less than 1. The reason is that you buy option at a lesser price than the stock in cash for the same lot size, so why should you get profits equal to someone who bought the same stock in cash? Of course option buyer’s losses are also less than stock buyers’. At the money (ATM) options usually have a delta of 0.5. If the stock moves up 1 point – the price of the ATM option will go up by 0.5. In The Money options have more Delta than out of the money options. Deep In The Money options move almost 1 to 1 with the stock. This is reason why some traders prefer buying deep ITM options. If right ITM options will make more than ATM or OTM options. As an example. Lets assume Nifty at 8000. The 8000 strike price of calls and puts will have Delta of 0.5. Similarly 8100 CE (OTM) may have a delta of 0.4, 8200 CE (far OTM) may be 0.3, and 7900 CE (ITM) may have a Delta of 0.6. Note how they are changing. Deltas are assumed here not real – but you get the idea. As expiry nears Delta of all in the money options will move very closely with the stock price as there is no time value left. When expiry is very near Delta of all ITM options move towards 1. Delta of all Out Of The Money (OTM) options will move towards zero. Therefore on expiry day the premium of all Out Of The Money options becomes zero and they expire worthless. Note: Some traders think that a Delta of 0.1 means the option has 10% chance to expire In The Money. Or 0.5 means the option has a 50% chance of expiring In The Money. You got the idea. This is very important figure for option sellers. I do not have any data to prove this to be true. So please take precaution while selling option even if it has a Delta of 0.1. With the movement of the stock someone has to change the price of Delta as the option moves from ATM to OTM and then back to ATM to ITM. In the example that we described above, when Nifty moves to 8100 – the 8000 CE becomes In The Money and its Delta increased from 0.5 to 0.6, similarly Delta of 8100 CE increased from 0.4 to 0.5. Gamma is responsible for this change. Gamma controls the Delta. It is the mathematical formulae (a software) that decides the change in Delta based on a 1 point change in the stock. If Nifty goes back to 8000 – the 8000 strike will again become Delta 0.5. This factor is known by most traders. Theta is the Time Factor in the option premium. This time factor moves towards zero as expiration approaches. Theta is the amount the premium will decrease for a one-day change in the time to expiration. Theta works on holidays and non-trading days too. Theta behaves differently for different strike prices. One important thing that needs mention. Considering options expiring in 30 days – Theta for deep OTM (Out Of The Money) and Deep ITM (In The Money) options decrease faster in the first 15 days and almost nothing is left for the last 10 days. However ATM options (and the near strike prices) behave exactly opposite. The speed of decrease in Theta is almost constant till the last 5 days – after this the speed increases rapidly. In the last 1 hour it is the maximum. Compare Theta to the melting of ice. If you take some ice out of your freezer and observe, you will see that for the next few minutes almost nothing happens, then slowly the ice starts melting. After 10-15 minutes the speed if ice melting increases. The last 2 minutes are pretty fast when the ice totally melts. Theta behaves the same way especially for ATM options. Option sellers are the one who love to see the Theta of options decreasing – because this is what makes money for them. Most option sellers sell out of the money options – which means they are only selling Theta. They buy back the options when Theta decreases in value significantly to make a profit. Is the volatility factor. Vega is the amount option prices will change for one point change in implied volatility. It is a measure of fear or uncertainty in the markets. When a big news is expected – there is uncertainty in the markets – so the volatility too increases. When volatility increases option prices for both calls and puts also increases. When volatility decreases option prices for both calls and puts also decreases. Vega only effects the time value of the options not its intrinsic value. For example if Nifty is at 8000. Assuming the 7900 call option is available at a premium of 130, then the intrinsic value of this option is 100 (the difference between the spot price and the strike price of the option). The time value is 30. When Vega increases, only the time value is affected. This 30 can increase to say 32 depending on the volatility increase. Similarly when the news is out and uncertainty dies down, volatility decreases. This in effect decreases the premium of the options. This is where most trades lose money. Vega has such a big effect that sometimes even if the direction is right, an option buyer loses money because Vega decreased. This happens mostly with call option buyers. Usually when the markets go up, the volatility decreases. Call option buyers are up against Time (Theta), and Volatility (Vega). OTM call option buyers lose money even if the stock goes up because by the time it goes up a significant portion of the premium would already have been eaten by Theta and the decrease in Vega will also reduce the premium. For them to make money the speed of the stock going up is very important. However put buyers are in slightly advantageous position because usually when the markets fall, the Vega increases and they can benefit. However they are also up against Theta. Here too speed matters, though not as important when the stock moves up. I am sure you now understand why most option buyers lose money. Today is 13-Nov-2014 (almost same days left for expiry for the current month). India VIX is 13.80 (64.88% less than 12-May-2014). Nifty closed at: 8357. Here are closing prices for both 8300 and 8400 strike options. As you can see for the same Theta left, when Vega is down 65%, the option premium also reduces by almost the same amount. I hope now you understand how important Vega is for option traders. Why does premium of options increase when Vega increases? The reason is simple. When there is uncertainty in the markets no one knows exactly where the markets are heading. The risk during these times are more. The risk is much more for the option seller. Why? Because they are willing to take unlimited risk for a limited profit. When the markets are uncertain and the premium they are getting is not sufficient why would they sell an option and take unlimited risk for a small profit? For example on 12-May-2014 if the total premium of the ATM strikes was just 150, do you think anyone would have sold these options? If there are no sellers, there can’t be any buyers. And if this happens – options trading will cease to exist. Therefore when Vega increases the option premium also increases to lure the sellers. Is the interest rate offered at the banks for a fixed deposit of 1 year. It is the amount an option value will change with one percentage-point change in interest rates. As mostly the interest rates are same for a long period, Rho does not have a big impact on the option prices. Since interest rates are not important lets not discuss this further. How you can get the Option Greeks while trading? Your broker should be able to provide you with an option Greek calculator if you are approved to trade options. You may also look online. You need to put in the values like strike price, time left, interest rates etc and the calculator should return the Option Greeks. How to trade with the help of Option Greeks? This is a very big topic. You will find books written on this topic alone. However I will tell you what most retail traders do in the US. By default in the US all brokers show ALL the Greeks on a traders screen. They need not use any calculator. Unfortunately in India there is not a single broker that shows them by default. If you know any please mail me or write in the comments. If they want to buy, they buy options that have delta of 0.5 or more. Which means they buy At The Money or slightly In The Money Options. Some traders sell both call and put options – mostly out of the money options. These traders try to keep their trades at Delta Neutral. Again this is a very big topic out of scope of this article. Still I will try to explain in a simple way. Delta Neutral means keeping Deltas of all the options they sold same with any movement of the stock. For example if stock moves up – the Delta of the call option will increase. So they will move the position a few points up. Essentially booking profits in the puts and booking loss in the calls – but maintaining the Deltas of the calls and puts more or less same. The idea is to profit when expiry nears. The Theta will decrease rapidly of both the calls and puts when expiry nears. Ultimately both the options will expire worthless. Profits or losses are known only on the expiry day, or when the trade is closed. If all the delta neutral adjustments resulted in profits then the trader is in profit, else he loses. Some people write software to automate this trading. Yes you can write a piece of software to automate your trading and strategies. Benefit is that emotions are not involved. 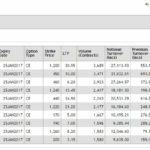 I have rarely come across a person who made money doing automated trading. If you are on a job or a busy person it is humanly impossible to keep changing your trades to be Delta Neutral. And there is no guarantee of profits either. We don’t trade to waste time and lose money too right? If you are busy and don’t want to trade too much and are happy with small profits month after month I recommend my course. Its much better than wasting money on losing trades that teach you nothing. This came out to be a pretty long post, still this is tip of an iceberg as far as Option Greeks are concerned. Though, I hope after reading this article you will have some idea about them. Do ask any questions on them in the comments section. Do you look at Option Greeks before taking your decision on option trading? I can sense you are discomfort about auto trading. There are lot of variants with auto trading as well, Starting from simple automation of your strategies to advanced Quant based Models. Robots can be used for ease of execution like a simple slice order mechanism for an example. If you have a well defined set of rules for entry and exit for all or any of your strategies then it can be coded at server levels and forget about opening your trading terminal every day. System dose what ever you asked to do much more precisely than you with a micro second lag, and if any strategies need to be executed using the combination of any of the greeks you mentioned above machines are essential specially if you have big size accounts or constantly scaling up. Today in an advanced trading environment in India lot of Tech companies are gamed to provide these tools of the trade for all the retailers in a very professional way. I Personally use some of them profitably. Guns are available, How good are we at aiming? Yes I love to be in control of my finances. Except for my Mutual Fund manager – I control all the money I have in stock markets. Whether its option trading or buying stocks, I decide. I hate when a machine decides when to take a stop loss or a profit on my hard earned money. >> Guns are available, How good are we at aiming? In a nutshell, you cannot make a system to make money for you. We humans have to work hard to earn it. As an example, long before I became a trader, someone from a very big and reputed brokerage firm came to me for Portfolio Management Service (PMS). They used the word “Automated Trading” and showed me some presentations. I was impressed. I issued them a check for a few lakhs. After 1 year Sensex was giving a return of around 12% and my “Automated System” was generating only 5%. On top of that I had to pay them a 2% fine for an early refund. Even if I had just done a Bank FD with this money (original plan) I would have made 9%. If an automated system made by a big share broking company cannot beat Sensex, how can I believe that any system prevails that can do that? However it is nothing against your system. You may be doing good, it all depends on what you want your software to do and how well you have written it. They only obey a trader’s orders. If its working perfectly, it is good for you. But in general automated systems are a failure even in advanced countries like US. Had a good laugh 🙂 🙂 🙂 thinking that what if NSE software got bugged??? All our low risk strategies become risk free money to others!! Any way the good thing is one should use systems of tech members who empaneled with exchanges! ” I control all the money I have in stock markets” 🙂 🙂 remember NSDL?? which was giving 14% per year risk free arbitrage.. Over confidence or blind faith is hazardous when we are just a poppet of illusions!! It is my belief. I have made it clear in my earlier comment too – I have nothing to say against your system as I have not seen it or experienced it. You may be good at it. But this info is for normal retail traders who visit my site. Hope you understand. Only those people who understand the automated systems well should let their money traded by the systems – for the rest of us simple trading works best. By hard work I mean taking decisions and planning strategies. Keeping a look at our trades and the stress. Yes you are right if markets opens Gap down/up there is not much we can do – but it is same with automated systems. And NSE software also gets bugs… trading halts, flash crash etc. Sometimes brokers trading platforms also gets bug – and they halt trading. Systems as humans can never be perfect. 3. Limit it to 10.5 and wait. It looks like you try to keep all very simple (or not to work too hard) and believe that, it will work everywhere. That’s not true with Algo’s, Auto or HFT… the real hard work is needed here. 1st There is nothing called “Stop Loss HIT so Close The Trade” in automation both will happen at same time… that is how you should code it. 2nd Illiquid counters are not considered for autos if considered then with combination of conditions specially with the pairs. 3rd if at all the slippage exists, there are various way of handling it.. by your example we see to that we remain at the top by lowest tick possible i.e., 0.05 so if an option need to be closed then system will place a sell order at 10.95 and if some come up with 10.90 the it will replace our order to 10.85. And later its hypothetical not that simple, not only hard work, one should need talent and professionalism (Rs.0.5 is 5% on option priced at Rs.10 which is too much for a slippage en very unprofessional too). Any way this subject may not be for a fresher BUT worth knowing for everyone after all they are fighting with algos to be profitable! Retailers enter market with small capital to make it big while Pros enter market with BIG capital…both is a challenge altogether like, Consistent handling of multiple accounts accounting to 80 to 100 Crores Profitably and making a living by having 5 lacks in ones own account! I shared my views as I liked the subject, Nothing to prove right or wrong! considering present VIX can you suggest any good strategy? Current VIX is hovering around 13 to 15. This is considered historically low volatility. The reason is quite simple. Investors have faith and hope in the Modi government and therefore you can see Nifty rallying since the last one year. And it seems this may continue for some more time. Unfortunately low volatility is not good for option sellers and buyers. The reason is that option sellers get low premium for almost the same risk when volatility is high (volatility may increase but the premium they received is final). And due to low volatility the option prices don’t move much. So even if the direction is right option buyers do not make much or even lose money. In such an environment covered calls works best because the stocks are just not falling. You can also sell puts, but you should also hedge them with some protection. May be with a low ratio 3:2 to try to make more. Whatever you do – have a proper target profit and stop loss in place. Exit the position whenever anyone is hit. Thank you sir, its a very legitimate advice for beginners like me! Dilip … you have completely miss judged RHO here… specially when you are teaching monthly income strategies!! I can never misguide my readers. I am working very hard to make this a good blog for option traders and investors. I don’t know whether I have reached there but the kind of education I provide in options trading in India through this blog is hard to find anywhere else. Interest Rate or Rho DOES NOT have a major impact on option premiums. For a 30 day or 60 day period they mostly remain same – so one should not bother much about them. This is the reason I did not elaborate Rho further in the above article. Rho measures sensitivity to the interest rate: it is the derivative of the option value with respect to the risk free interest rate (for the relevant outstanding term). Except under extreme circumstances, the value of an option is less sensitive to changes in the risk free interest rate than to changes in other parameters. For this reason, Rho is the least used of the first-order Greeks. Rho is typically expressed as the amount of money, per share of the underlying, that the value of the option will gain or lose as the risk free interest rate rises or falls by 1.0% per annum (100 basis points). In India the real risk free rate is the Reserve Bank of India (RBI) 91 day Treasury bill rate. The current rate is 8.6038% per year. How many of retail traders know this? However most of us know the prevailing 1 year FD rates in the banks. FD rates in banks do not vary much than the current Treasury bill rates. Today most bank offer 8.75% rate on 1 year Fixed Deposit. So what is wrong in feeding the current FD rate of the nationalized banks in the options calculator that follows the â€˜Black-Scholes Option Pricing Modelâ€™? The difference will be insignificant. I was traveling so I could not reply your SMS. You asked me to discuss monthly option strategies. I am sorry but there are some things that I have preserved for people who opt for my course. To be fair to them I will not disclose anything here in this blog. “I can never misguide my readers” – no one dose, but there is something called ignorance! – me too doing same, but not charging you or any one for this 🙂 just for the love of the subject!! – why not, even I am trying here to add value in this regard, selflessly!! Recently you increased your course price as you added two new strategies right? This will bring your estimation of 55,331,280.40 (http://www.theoptioncourse.com/strategies-can-help-grow-money-power-compounding/) to 34,845,014.81 !!! How a difference of -20,486,265.59 will be insignificant???????????? Babu you are Sr. Strategist & Analyst and have much more knowledge than many retail stock traders in India and world. This website was meant to help people who don’t understand options like professionals but are interested in learning at least the basics. I am helping them that is all. There is nothing more to it. And I am thankful to you for sharing your thoughts on this blog. Really Thank You. Writing involves a lot of time and I hope you understand that time is not free. I do not even make too much from this site – just helps to pay some bills. In India people want everything for free – and its hard to convince them to pay for a good service. I told you why I increased the fee because most traders wanted conservative directional trades. I included them and to be fair increased the fee by just Rs. 1000. If anyone is not interested in the directional trades – I reduce the fee – like I told to your friend. Go check fees by other websites – my fees is not even 50% of what they charge for a single trade – that over time starts to lose money. On top of that I offer life time support. Someone who has belief in his strategies can only give that. I want to give the best to my customers. In fact they call me and say they are thankful for my service. As far as strategies are concerned I am pretty happy with my strategies and don’t even want to try other strategies. I have had enough trying other strategies. Though I have kept aside some cash to experiment with some strategies that I try to invent on my own. First paper trade, then get in with one lot. Thanks for the offer but I am too busy trading my own strategies, experimenting and writing for this blog. Yes you told me you are not interested in my strategies and I am perfectly OK with that. If your company has a website can you please let us know. Good to know about your priorities!! 1. Its your business place, I respect it! I am going through your website for the last some days continuously, and get almost every thing which I need to know about options in a very clear and impressive language. Regarding volatility please guide me if I get the current IV of any stock say ICICI BANK and the IV is in the range of 30-40, so how would I know whether it is low or high and I should enter or not in this trade. Is there any method which can tell whether the current IV is high or low? IV is relative. Which means usually when we trade we look at what it was a few days back and “guess” what it can be in a few days. For example in my latest article on Calendar Spreads I have discussed how Volatility effects the trade. So if you can trade Volatility – other than the VIX Futures itself that are very risky – you can trade Calendar Spreads. See that historically it is mostly between 14-18. Also can you please tell what kind of trade you are looking to do based on IV of the stock. Just don’t buy and sell options based on IV. Trades done on IV are as good as Technical Analysis. They will need your time and close monitoring. If you can tell me the trade you are looking to do, I can help further. Note: For those who do not know from where to get the Implied Volatility (IV) of stocks traded in NSE here is the link for ICICI Bank. The last column is Implied Volatility. 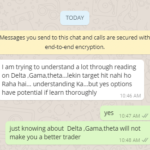 Is there any Software ,where we can see Nifty option strike price delta , gamma ? Do not pay anything extra for this. Ask your broker. They may have a tool that you can use for free. Thanks. Good article on Option Greeks and their usage in trading. Alas this is 1 of those posts where length of the comments and Ur replies to them exceeded the length of the post itself. However these comments and Ur replies to them r enlightening for novices like us especially when they r between experts like Mr. Babu and U. Sir done.. Today your corrections are in my “to do” list 🙂 – clearing them all. Yes Mr. Babu was an avid reader and commentator in this site a few months back. Unfortunately looks like he is too busy to read this blog now. I hope he is fine wherever he is. Your Education is Amazing and Awesome.